From a company that is expert in silly, the Swedish Chef breakfast cereal “Croonchy Stars” was perhaps the silliest licensed product Henson ever produced. And developing it was great fun for all involved. 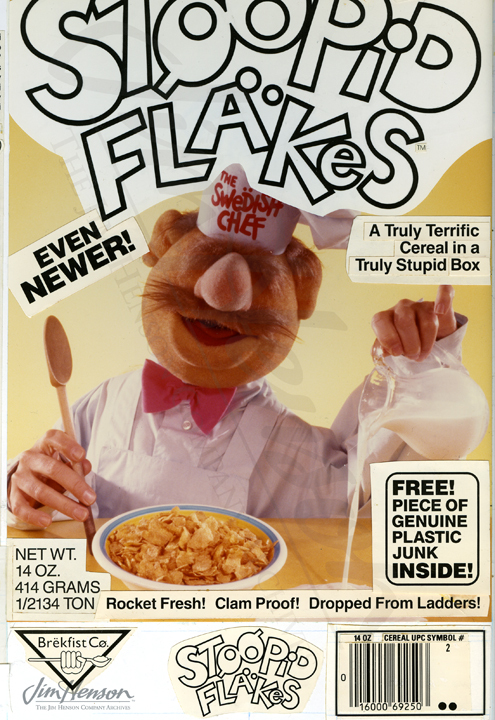 Before settling on the star shaped cereal that reached supermarkets as “Croonchy Stars,” flakes were considered (to be called “Stoopid Flakes”) and small cow-shaped pieces were suggested (to be called “Moopettes” – long before the Muppet tribute band of the recent movie). 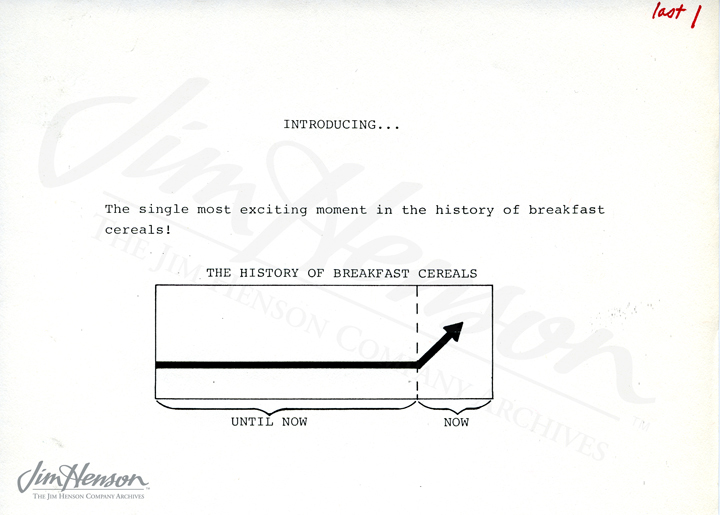 Expectations were high for the Swedish Chef’s impact on the evolution of breakfast. Learn the details about this crazy project here and here. 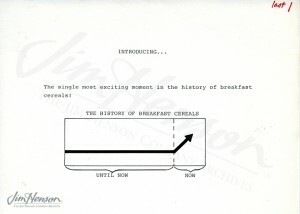 An infographic from the Stoopid Flakes pitch book. 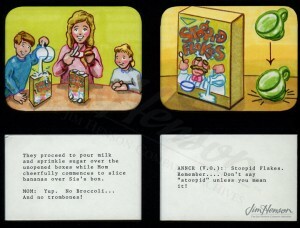 Storyboard panels for the Stoopid Flakes commercial. 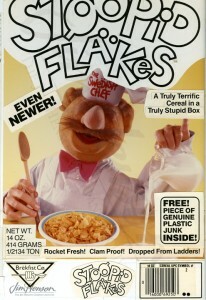 Packaging mock-up for the Swedish Chef’s Stoopid Flakes cereal. 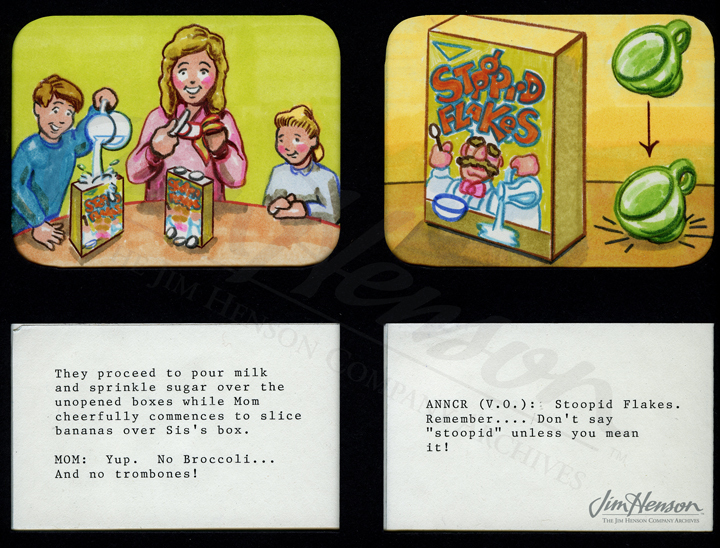 This entry was posted in 05-May '88, 1988, Commercials and tagged Croonchy Stars, Swedish Chef. Bookmark the permalink.